Out of the crucible of medical training, award-winning writer Terrence Holt shapes this stunning account of residency, the years-long ordeal in which doctors are made. "Amid all the mess and squalor of the hospital, with its blind random unraveling of lives," Internal Medicine finds the compassion from which doctors discover the strength to care. Holt's debut collection of short stories, In the Valley of the Kings, was praised by the New York Times Book Review as one of "those works of genius" that "will endure for as long as our hurt kind remains to require their truth." Now he returns with Internal Medicine - a work based on his own experiences as a physician - offering an insider's access to the long night of the hospital, where the intricacies of medical technology confront the mysteries of the human spirit. "A Sign of Weakness" takes us through a grueling nightlong vigil at the bedside of a dying woman. In her "small whimpering noises, rhythmic, paced almost to the beating of my heart," a doctor confronts his own helplessness, clinging "like a child to the thought of morning." In the unforgettable "Giving Bad News," we struggle with a man who maddeningly, terrifyingly refuses to remember his terminal diagnosis, forcing us to tell him, again and again, what we never should have wanted to tell him at all. 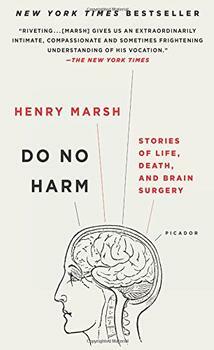 At the bedside of a hospice patient dying in a house full of cursing parrots, in "The Surgical Mask," we reach the limits of what we are able to face in human suffering, in our own horror at what happens to our bodies as they die. In the psychiatric hospital of "Iron Maiden," a routine chest X-ray opens a window onto a nightmare vision of medieval torture and a recognition of how our mortality drives all of us to madness. In these four stories, and five others, Internal Medicine captures the doctor's struggle not only with sickness, suffering, and death but the fears and frailties each of us - patient and doctor alike - brings to the bedside. In a powerful alchemy of insight and compassion, Holt reveals how those vulnerabilities are the foundations of caring. Intensely realized, gently ironic, heartfelt and heartbreaking, Internal Medicine is an account of what it means to be a doctor, to be mortal, and to be human. MY FIRST CALL NIGHT AS AN INTERN, I RAN into Dr. M, one of the senior attendings, whom I had known for several years. "How's it going?" he asked me. I told him I was on call. "First call?" He smiled. "I remember my first call. About ten o'clock that night, my resident said to me, 'I'm going to be just behind that door. Call me if you need me. But rememberit's a sign of weakness.'" I don't recall my response: I don't think I even had time to consider the story until evening, when the frantic milling about that makes up an intern's day had started to wind down. That day, we filled up earlythree opportunistic pneumonias from the HIV clinic; a prison inmate transferred from Raleigh with hemoptysis, presumably TB, and a fever-of-unknown-origin. In a way, Holt, looking back on his residency with the subsequent experiences of a full-fledged doctor, has a beneficial hindsight. It is clear that he has taken in what’s important to him from his career experiences, and, after looking thoughtfully at each piece, shows them to us. By this method, Holt carefully and gracefully sculpts his words and stories to the very marrow of their meaning. Under the surface of the simple language he employs, there is enormous impact that makes us sit back and think about these stories long after. (Reviewed by Rory L. Aronsky). Holt, who also holds a master’s in fiction writing and a PhD in literature, is an excellent story teller… [T]he portrait Holt offers is artful, unfailingly human, and understandable. [T]his book illuminates human fragility in tales both lyrical and soul-wrenching…. 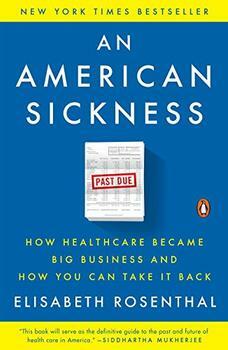 Holt dissects the medical experience in exquisite and restrained prose. Starred Review. Holt says that he wrote the book over a period of 10 years. Let's hope for a shorter duration before we next hear from this gifted writer/physician. Where do the brutal limitations of our mortal selves meet the grace of kindness? Where do simple observations of the progress of lives become a spare human poetry? Perhaps nowhere more so than in the practice of medicine, and in the finest of writing. These are the remarkable occurrences that fill and enrich Terrence Holt's elegant and heart-rending memoir. Holt's beleaguered resident makes us gaze with him into abysses of every sort of physical, emotional, and spiritual pain, and yet what we feel with him, at the end of every story, is a resilient, exalting love of the world and the people doomed to suffer in it. In its undaunted vision of our plight and promise as a fallen race, its intricate rhythms of tenderness and pain, the torque of its knowing, Internal Medicine is an uncommon, lovely work of art. I feel myself expanded and enlarged by it. Internal Medicine is but one view of the U.S. medical system. According to The Commonwealth Fund, a private foundation looking to foster a better health care system in the USA, the U.S. ranked last in a survey of healthcare in 11 developed nations - behind Canada, ranked at #10, and way behind Germany & Netherlands in a tie at #5, with Switzerland at #2, and the United Kingdom topping the list. The U.S. ranks last in large part due to its lack of universal health coverage which leads to many having limited access and inadequate coverage due to cost. But access is not the only issue - when efficiency is measured, poor performance is noted on many fronts (such as administrative costs and avoidable emergency room use).